Is Your Home Router Model An Easy Target For Hackers? Just how widespread is the problem? To test this, the Wall Street Journal commissioned a computer-security researcher to evaluate 20 new popular wireless routers from the top 5 manufacturers in the United States. According to research firm IDC, by U.S. sales estimates, the top 5 router manufacturers are Belkin, D-Link, Linksys, Netgear and TP-Link (in alphabetical order). The specific router models were chosen based on manufacturer reports and sales ranking on Amazon. All the routers were ordered new from Amazon in the second half of 2015 and tested with default settings in place. 14 out of 20 routers shipped without the latest firmware even though doing so would have improved security for 12 out of the 14. Half the routers didn't have a built-in updating process. 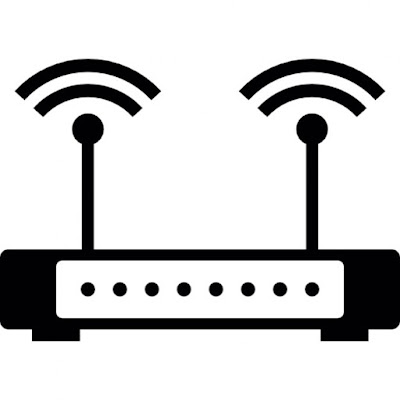 Instead of automatically checking for and offering to apply updates via the device administration panel, these routers required users find and install the correct patches from the web. For two of the models with an automatic update option via the device administration panel, 2 incorrectly listed there being no updates available, even though there were. One model even updated the firmware to a version that had a serious known bug. Out of the 20 routers selected for the tests, 13 of them had issues updating to the latest firmware version. Now, why is updating to your firmware even important? For one, they contain patches and bug-fixes to security exploits. In our guide on the best wireless routers for 2016, we recommended the TP-Link Archer C7, the TP-Link Archer C9, the ASUS RT-AC66U, the ASUS RT-AC68U and the Netgear Nighthawk AC1900 as our top routers for 2016. So how did they fare? One notable finding was that updating the firmware on the TP-Link routers needed to be done manually. Unfortunately the ASUS routers were not part of the study. To see the full results for all 20 routers, check out the Wall Street Journal's full table of the results here. Routers are the gateway to our home network and it's important to secure the borders by making sure that the latest firmware is installed. If your router model requires you to select and download the latest firmware manually, then it is important to know where to find them and how to update the firmware. Here are the guides on how to update your router's firmware for the top 5 router manufacturers in the United States: Belkin, D-Link, Linksys, Netgear and TP-Link. As the Wall Street Journal article points out, Microsoft Windows and Mozilla FireFox have had great success with security by pushing automatic updates to users, since 2004 and 2013 respectively, and perhaps this should be the model of the future for router manufacturers. Check out the full article on the WSJ and graph for an interesting read.